approx. 60 x 60 x 50 inches. 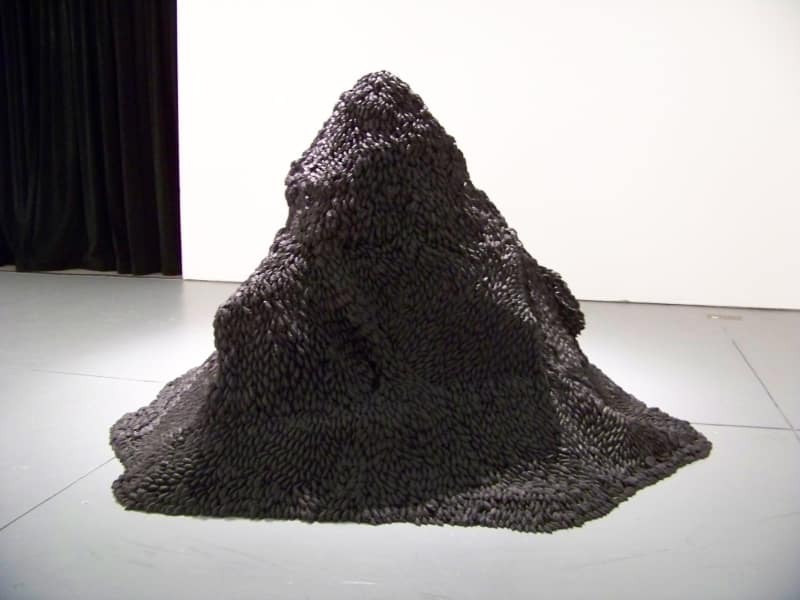 Colline au Mille Souris (This is not Rwanda) features a giant pile of licorice candy mice. Each time the work is shown, a fresh layer of candy is added, producing a sickening smell within the enclosed space of the gallery. This work rejects Malthusian theories stating that the 1994 Rwanda genocide was the preordained result of the impersonal forces of poverty and overpopulation. The mice that overpopulate the sculpture are licorice candy that is distinct to Belgium and acknowledges Europe’s disastrous influence in African affairs. In 1798 Thomas Malthus declared that “If there are too many people and not enough food, then, certainly, there are going to be problems […] as nature has a natural way to cut population levels: crime, disease, war, and vice".